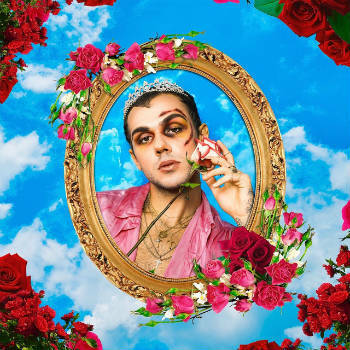 Dandy is the eclectic debut album from Matty Marz. It blends romance, fashion, and pop culture into a record that oscillates between pop and indie rock. I thought I had the sound pinned down with the first track Dirtbag, which is kind of a sassy indie rock song with a sound vaguely reminiscent of mid 00s bands like Franz Ferdinand (Do You Want to.) However, after this the songs transition into much more poppy territory. They are often romantic, soft and musically bright. The backing beats and background music has kind of that early 90′s, funky, summertime Caribbean sound. All these elements are combined in a way which lends itself to an ultimately contemporary feel. Matty Marz’ vocals come across as sincere and tonally are a good fit for this style of music. My favorite track on the album is probably We the People (Interlude,) which is catchy and features an amazing, retro-futuristic beat.